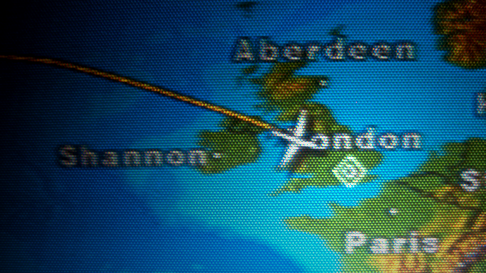 Today was largely taken up by a flight back to London from San Francisco, where I spent the last ten days. Very much a work-focused trip, the ten days were spent with the growing team at Apture, discussing upcoming improvements to the Media Hub and other aspects of the product. The Media Hub is a tool that allows users to search for multimedia from a number of different sources, from which they can pick content to add to their webpages. Designing an interface to accomplish this, and faced with a large number of technical constraints, is certainly a challenge! Being in town of course gave me an opportunity to catch up with friends. Due to (typically) bad planning on my part, this trip saw an abundance of Cuban food, eating at the same restaurant two days in a row! Thankfully the company of David and Athena the first night, and Tung, Angela, Nancy and Jon the second, meant the food was of little importance. Thanks also go to Steve, who was able to recommend a number of restaurants and museums I should check out when I visit Munich later this year (details about my European travel plans to follow later this month). Finally a big thank-you to Dan and Liz, who gave me a welcome break from all the dinning out—Sausages and Apple, Normandy-Style was worth the trip to America alone!